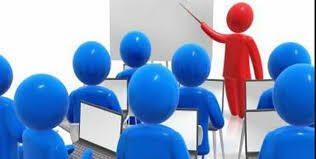 iT People Ltd. provides ICT training and Management Services to clients around Bangladesh. We are passionate about providing high quality services which allow businesses to stay focused on their core competencies. iT People has been conducting training in key ICT areas. The company has been rewarded with loyal clients and recognized by its technology partners as offering one of the best training centers locally and regionally for we combine our deep understanding to local market needs with our exposure to the world best training techniques and practices. The curriculum development process systematically organizes what will be taught, who will be taught, and how it will be taught. Each component affects and interacts with other components. For example, what will be taught is affected by who is being taught (e.g., their stage of development in age, maturity, and education). Methods of how content is taught are affected by who is being taught, their characteristics, and the setting. In considering the above three essential components, the following are widely held to be essential considerations in experiential education in non-formal settings. We arrange venue anywhere in Bangladesh. We can also help you in choosing an appropriate venue suited to the nature of your function/. Depending on the size and type of expected gathering, we can help you finalize a venue which will not only suit the flavor of your function but will also give you a great experience to gush about in the future. We have a well-experienced pool of ICT trainers who plan and conduct ICT training programmes and prepare manuals for users and clients. Logistics management services include arrangement of accommodation, food and other house-keeping issues in order to implement smooth training program as per Client's requirement.